Streetside memorial in front of Apple Store, Palo Alto, California. In memoriam as in design life; simple and elegant. 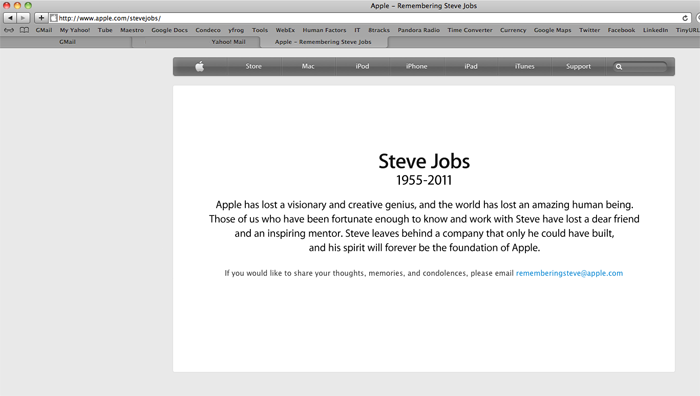 Apple Homepage announcing Steve Jobs’ passing.